Cooper-Young is well known for being an area where young artists and musicians live and perform. What is less known about this place is that Johnny Cash was once one of these young artists who had his first performance in Cooper-Young. In a church basement at the corner of Cooper Street and Walker Avenue is an unknown famous place, now an all-ages music and performance space called The Abbey. Cash had his first performance 1953 in what is now the Abbey,with his gospel band playing during a church bake sale. “This place has never been closed but there have been a lot changes. There was no consistently with this building. 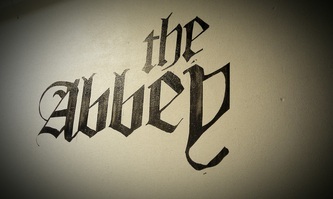 There was no consistent leadership,”said Luke Kadlecek, explaining the reason why The Abbey is still an unknown venue. Luke Kadlecek has been the manager of The Abbey with his co-worker James Littleton for two months. He is also part of the building's changes. The building had been occupied by Lifelink church, which bought the former Galloway United Methodist Church in 2009. Lifelink ceased operating in July, though the church still owns the building and some tenants, including The Abbey and a branch of the Visible Community Music College, remain in the building. Kadlecek is a student of the Visible Community Music School. The building is mostly led by students of the school who volunteer there. The Abbey is part of a Kadlecek's school project. Ken Steorts and Sam Garrett of Visible Music College are helping students at the school operate The Abbey. “Now Ken and Sam are trying to refocus and rebuild more in the music scene. It's a non-profit music community now with music festivals and concerts, which gives local bands a place to play,” Kadlecek said, describing the upcoming plans for the Abbey. 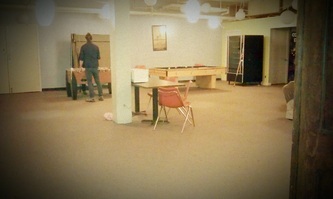 The rooms of the building are no longer used as a church but as a larger stage for bigger shows and music events. 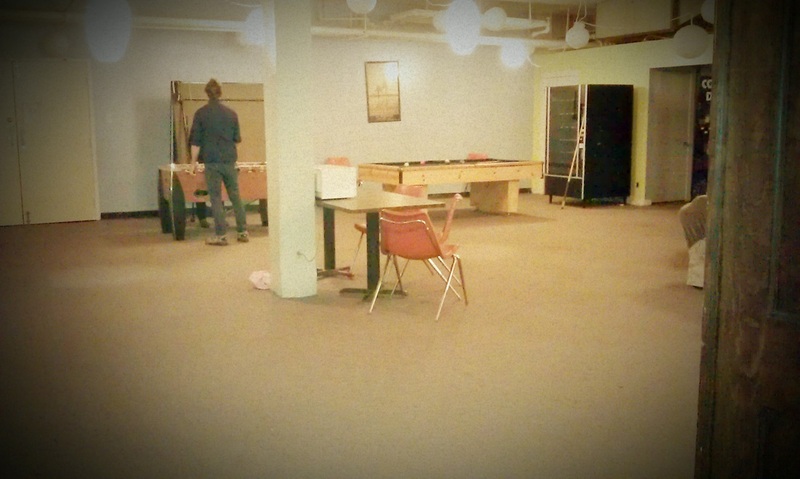 “This place has a lot of potential. If we get everyone at the same page and everybody thinks in the same way with the same permission, we can make this place famous,” said Kadlecek, making his plans clear. Beside making a music community in the building there is also the idea to make the place an alcohol-free environment, where people of all ages, mostly teenagers, can come so parents don't have to worry. England 1819, a Baton Rouge, La. band, is one band that used The Abbey to make them more popular with a concert on Thursday, Nov. 14. “We found the Abbey in the Internet at a homepage which offers a list of venues for bands to play in Memphis. I e-mailed the owner and talked to him on the phone for five minutes and now we are here,”explained Andrew Callaway, band member of England 1819. England 1819 is an indie, rock, electronic band founded by Dan and Andrew Callaway and their father Liam Callaway. Their gig at The Abbey in Cooper-Young was their seventh concert of the bands “29 shows in 32 days” tour through the American South. 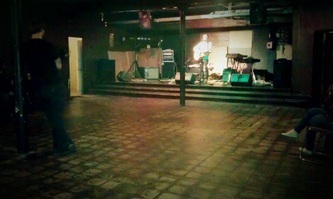 “We didn’t know that this was the stage Johnny Cash had his first performance. It’s crazy. 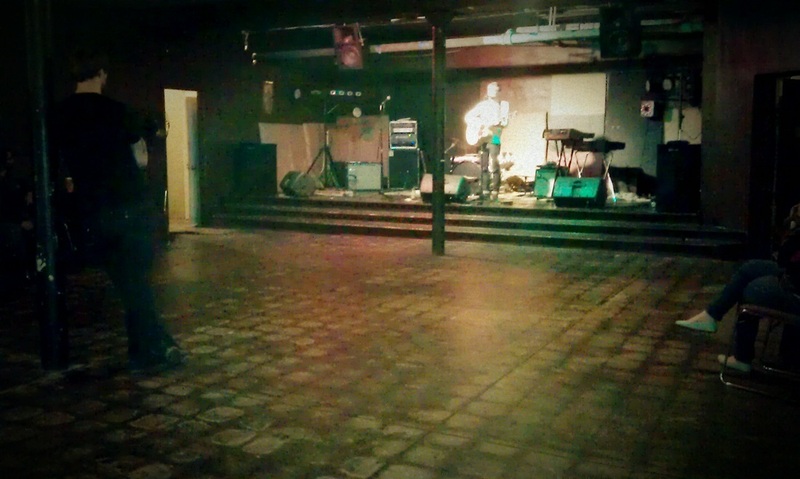 It feels special to play on the same stage,” Andrew described the atmosphere of the place. Even there weren’t a huge number of people at the concert, the band had a lot of fun.